Turn your home into a cozy retreat with our wood and pellet stoves and fireplace inserts in Connecticut. We stock and install all types of fireplaces and accessories in homes and commercial establishments. Whatever the style or theme of your property, we will find a fireplace to match it. Replace your drafty fireplace with an efficient new woodstove or fireplace insert that can bring warmth to your home in no time. 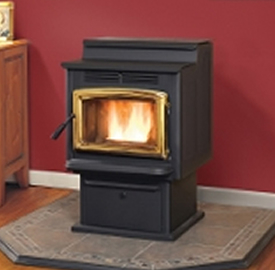 Save on electricity and gas bills — We offer exceptional pellet and wood stove inserts in Connecticut. Our units can heat rooms quickly, and even spread heat throughout the house. Replacing gas and electric fireplaces with these wood-burning alternatives may considerably reduce your power and gas consumption. Contribute to environmental preservation — Wood and pellets are renewable fuel sources. A well-fitted, EPA-certified fireplace insert that’s just the right size for the room will also burn wood and pellets efficiently (the EPA recommends a 60,000 Btu stove for a 2,000-square-foot room and a 42,000 Btu stove for a 1,300square-footroom). Choose the right unit toreap these benefits. When you need expert advice, turn to Creative Masonry & Chimney. 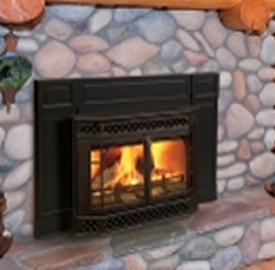 Our experienced team will install your new fireplace insert or wood stove. Hiring professionals is an excellent way to avoid oversight that might put your property and your family’s health at risk. Professional Installation Services: What Sets Our Service Apart? 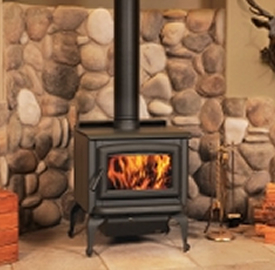 It’s critical to have your wood stove installed by a professional. One mistake in the installation process can lead to devastating consequences. Rely on our expertise to ensure your safety. Creative Masonry & Chimney observes the National Fire Protection Association’s safety standards for fuel-burning appliances. During installation, we also check the integrity of your chimney to ensure it is capable of maximum burning efficiency and heating. 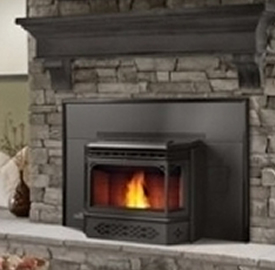 Learn more about our process and the features of our wood stoves and fireplace inserts in Connecticut.